The MFSTAB 4G Fingerprint Biometric machine is all-in-one, affordable, WiFi enabled terminal. It can be used for various applications such as Time Attendance, Access Control, Workflow Management, Canteen Management, Visitor Management, Worker Management etc. 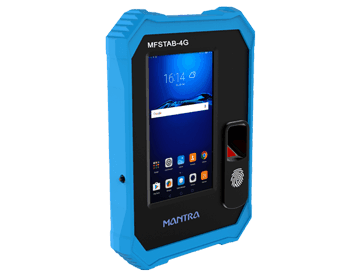 MFSTAB 4G Fingerprint Biometric machine This innovative Biometric clock will dramatically improve your ability to monitor your workforce movements during their working patterns and with enhanced features that give you a better time and management reporting. 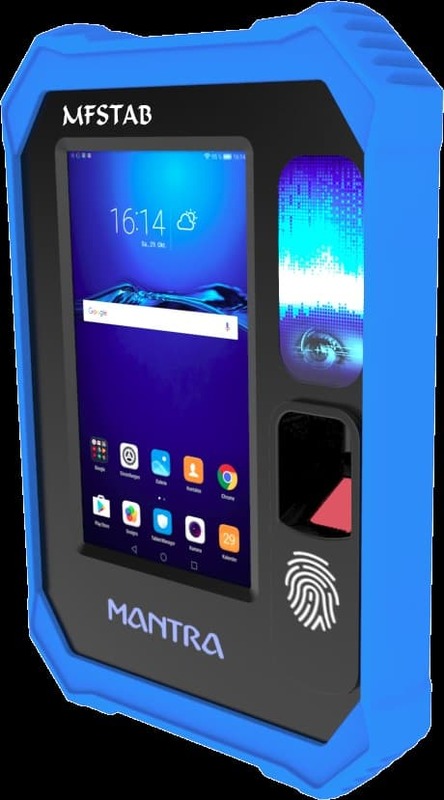 The MFSTAB 4G Fingerprint Biometric machine is suitable for both basic to moderately complex time and attendance requirements. The 7″ Touchscreen offers a wide range of possibilities, starting from the classical Time recording App to a complex Factory Data Collection App or a high-security solution with access queries supported by a comparison of live images with stored images or audio-visual communication to a Service Command Center, e.g. for Data centers. Everything is possible. Being Authorize Mantra dealer and distributor in India we supply Aadhar enabled MantraBiometric Machine MFS Tab.